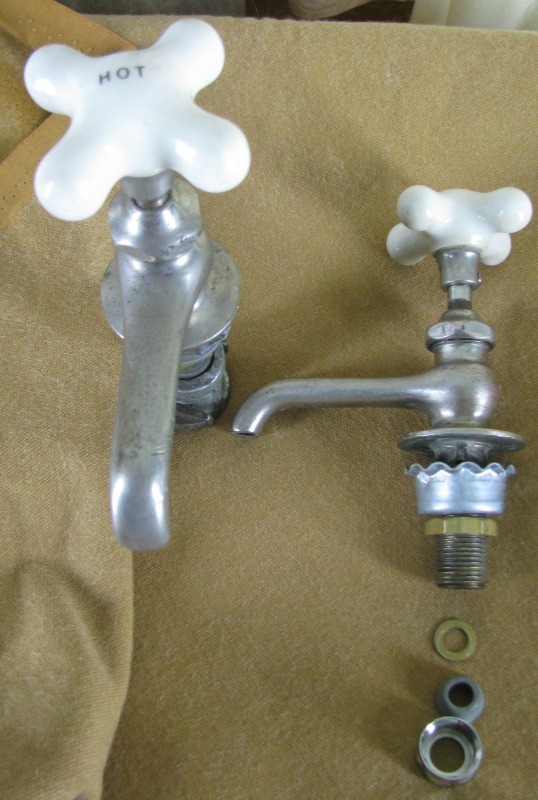 Here are some vintage faucets, sets of lavatory taps from my stock that have been reconditioned and are ready to install. 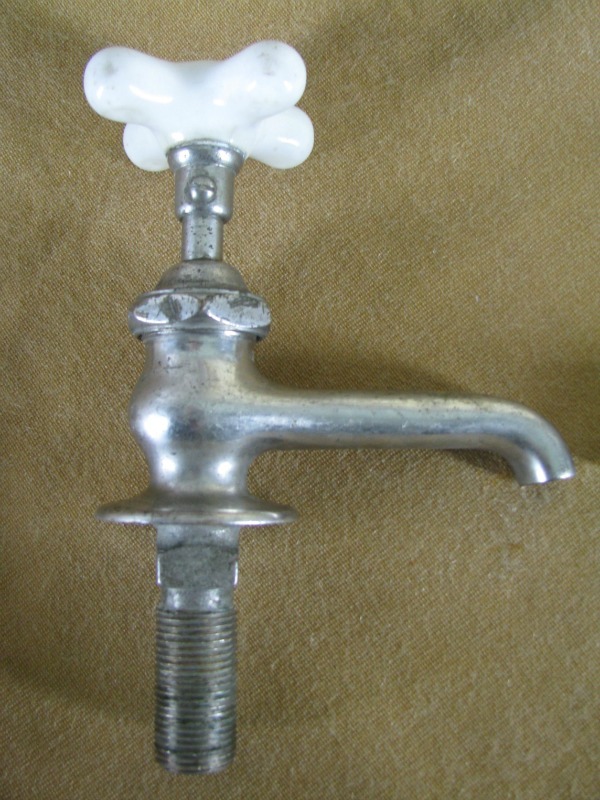 Many of the early faucets and taps had wonderful design characteristics, a timeless visual appeal that has kept them desirable. Even when they didn't work, they didn't find their way into the scrap metal. 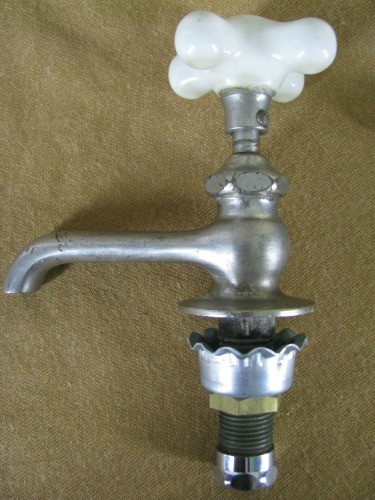 The biggest problem with the early taps was that the seats were milled directly into the faucet body. 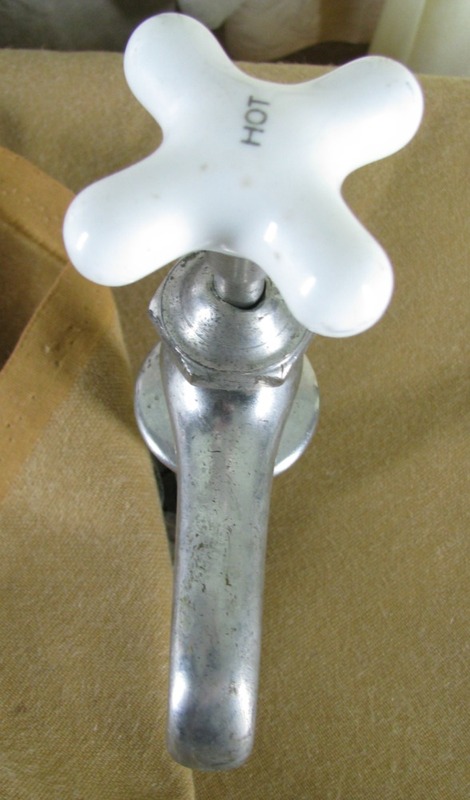 As soon as the seat wore down the washer would no longer hold the faucet from leaking. 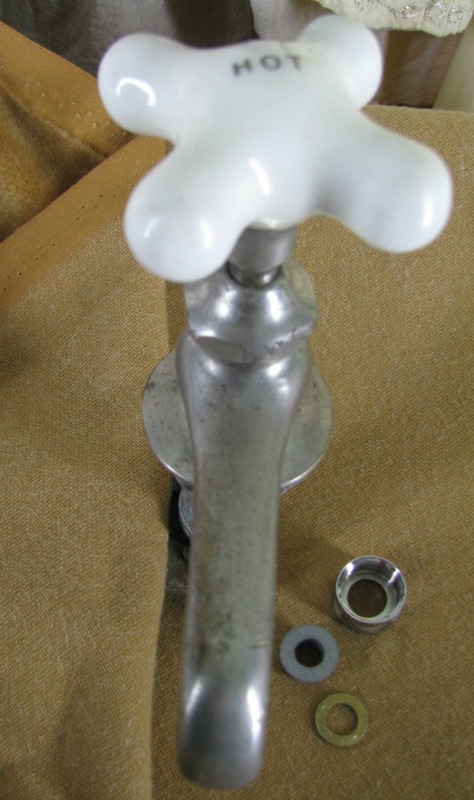 Many tools were invented and sold to resurface the milled in seats but mostly they created an uneven surface that was unsatisfactory. 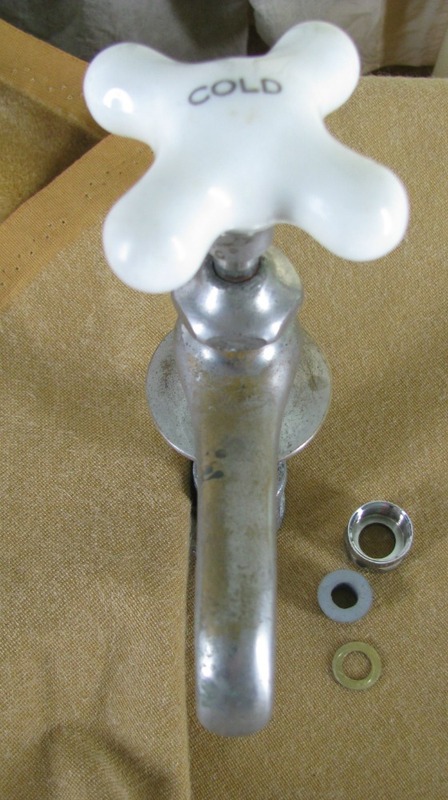 Other tools were created that could cut threads into the center of the integral seats, new replaceable seats could then be threaded into place in the old taps giving them new life for the first time. 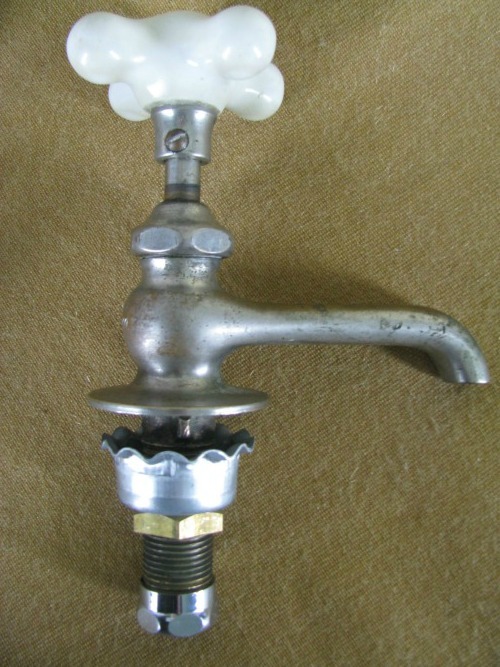 I own several of those sets of "faucet reseating" tools and the seats that came with them. 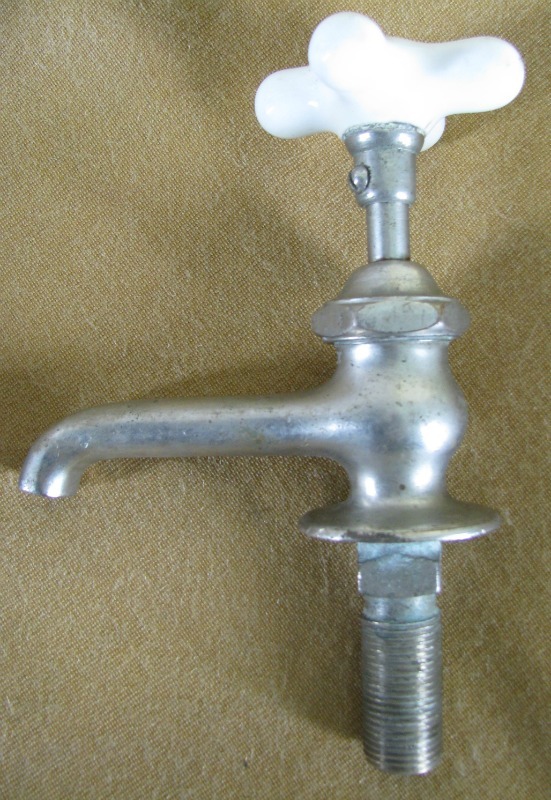 The faucet taps on this page have been "reseated". They have also received fresh washers and washer screws, plus new packing. Some of the packings are factory and some are my own. When packing is my own it is made in my shop. Like all good valve packing material mine swells when wet. Teflon and cotton do not. I have also provided deep rosettes, brass shank nuts, and supply nuts with friction washers and cone washers for you old school folks. 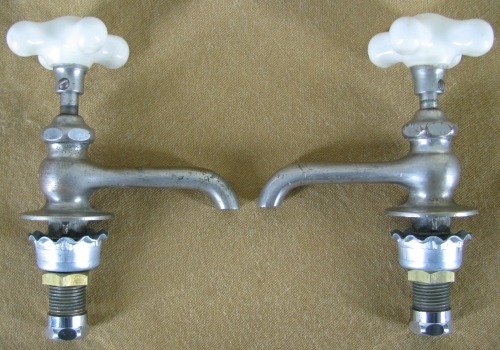 This is a set of "PUB-CO" taps. 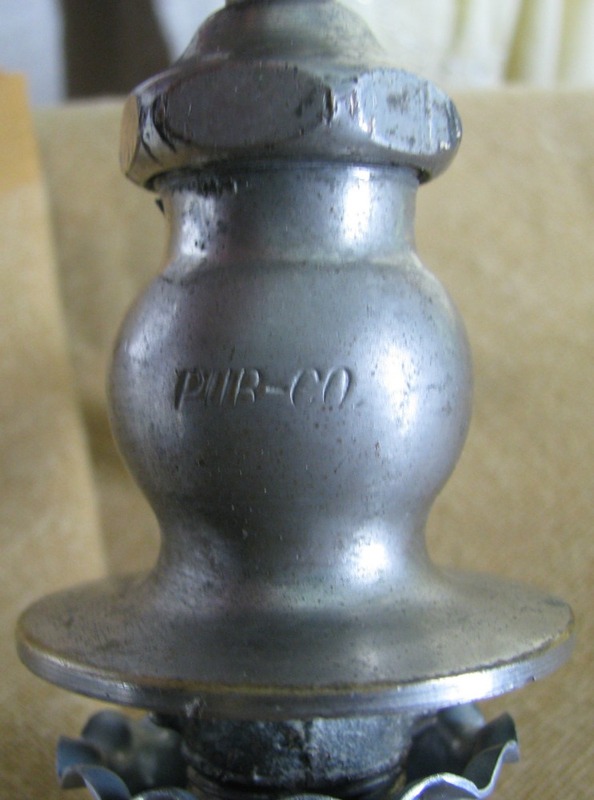 They received 7/16ths" X 27 Thread per inch seats. 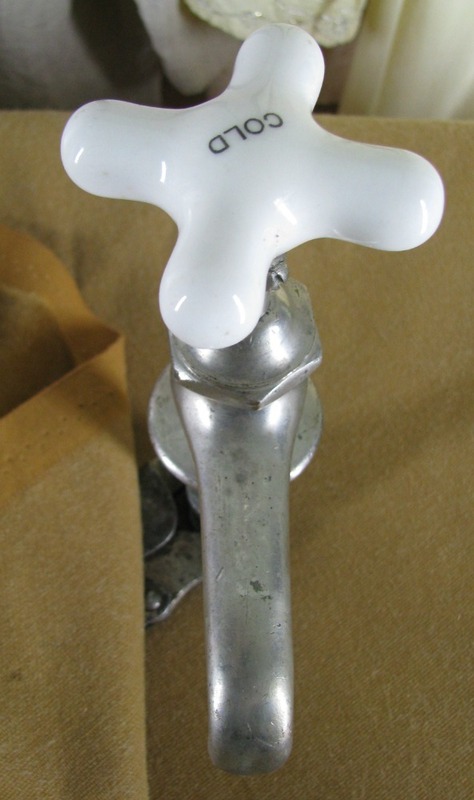 They still have their original set screws in the handles and the handles can be shifted so that the hot/cold index will face forward. I soldered a new washer cup to the end of the hot stem and sealed them both with my own packing material. 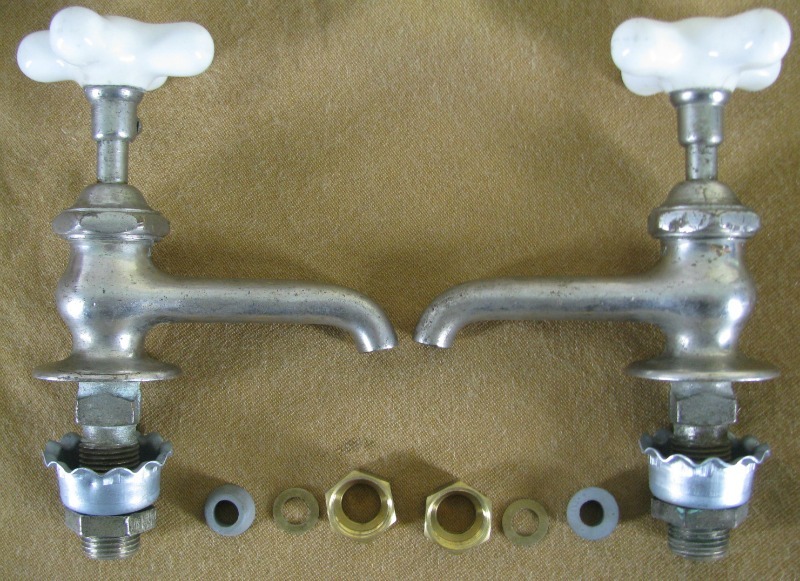 This set of PUB-CO taps are priced at $375. 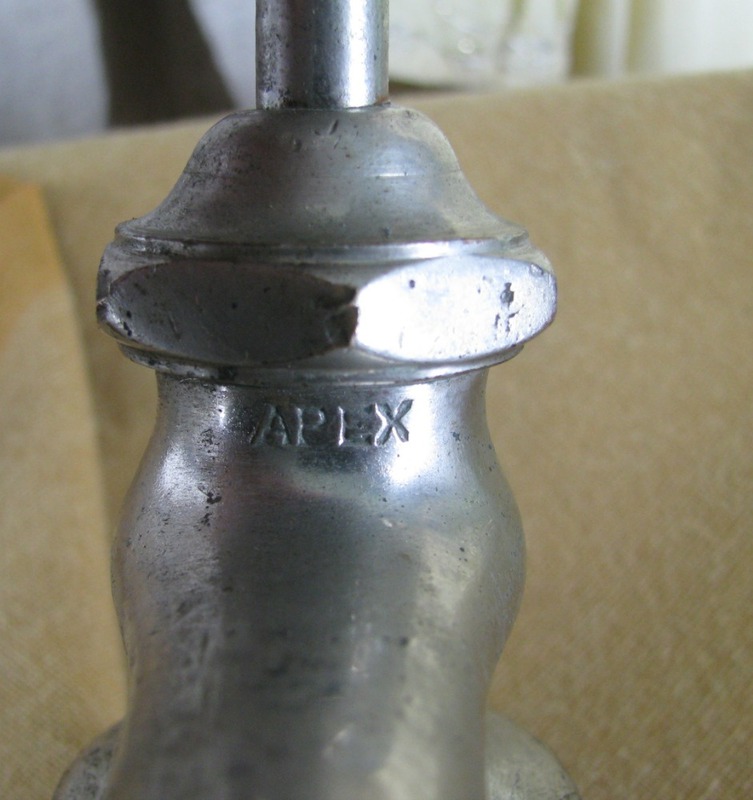 Here is a set of Apex taps. They are also reseated, rebuilt, and ready to install.